We liked it so much that when designing MatchBOX, he put it in one of the most prominent spots. We wanted the community of MatchBOX members to always have an attitude of saying yes to things. It’s OK to put qualifications on your yes, but your mindset is still bent towards the positive. 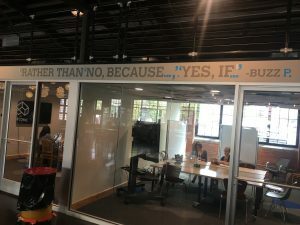 Daryl thanked me for the reminder and we got back to finding ways to help ourselves and others say “yes, if…”.